Hello there all. Thanks for stopping by today. I hope you all had a fabulous Easter!!! We had a great day spending time with family and Emma LOVED hunting for Eggs!!! We sure did have a very blessed day!!! 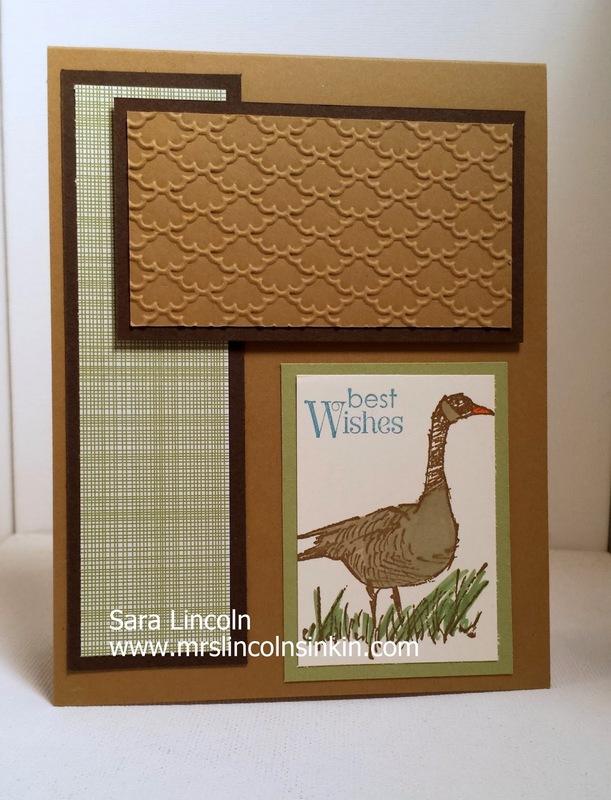 Today's share is of a masculine card using Earthy tones and the Wetlands stamps set. This card is using a simple layering with Early Espresso, Baked Brown Sugar and Gingham Garden DSP. I added some texture to my card by running my smaller piece of Baked Brown Sugar with my Fancy Fan embossing folder and Big Shot. The product that i am featuring today is the Wetland stamp set. It is a great stamp set for masculine cards however is very versatile and can be used for more elegant cards as well. Susie's comment of: "I love scrapbooking! I love going through all my old photos! Brings back awesome memories!!!" 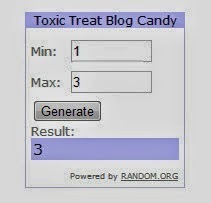 is the winner! I love scrapbooking too. I am hoping to get more of my scrapbooking layouts in my blog shares. Susie, please email me at slincoln0203@yahoo.com and let me know an address of where i can send your free stamp set! !